According to one study, 35% of online users have posted something that they later regretted. Avoid post-click regret by creating Facebook lists for different "audiences." 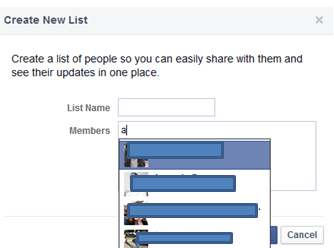 WHAT IS A FACEBOOK LIST? A Facebook list separates the people you're connected to on Facebook into different groups. This way YOU decide who sees each of your posts ("family", "close friends", etc.). 1. Sign into your Facebook account. Click Home. 2. On the left side of your feed, scroll down until you see the "Friends" category. 3. Click More. You may need to hover your cursor over the word "Friends" until More appears. 4. Click Create List. Name your list. 5. Add members by typing in the first letter of their (first or last) name. 1. 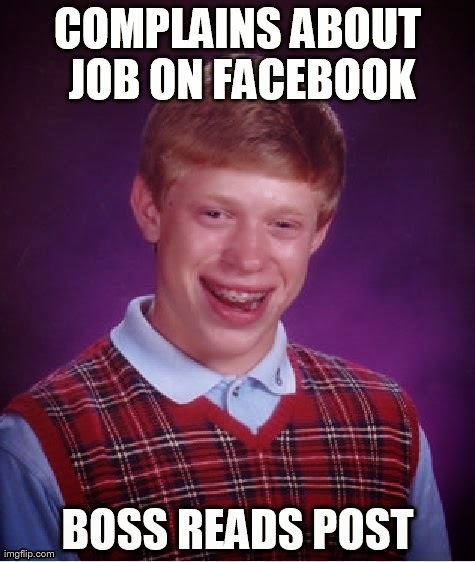 To post a status, click on Home. 2. Under Update Status, begin typing. 3. 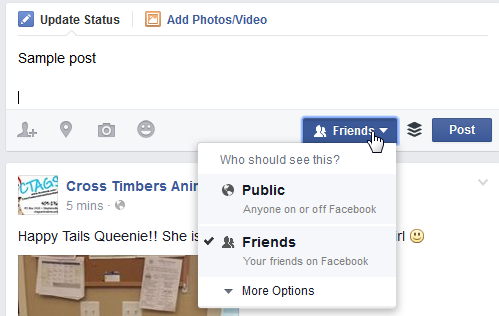 Your status box includes a drop down selection of who will be able to see your post: Public, Facebook Friends, etc. 4. Click on desired list (you may need to click More Options), then click on Post. You can also watch our YouTube tutorial.